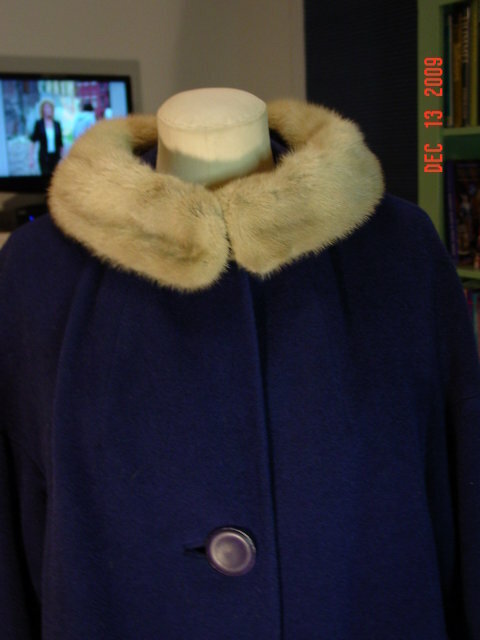 Vintage navy blue wool ladies swing coat with a gray mink fur collar. 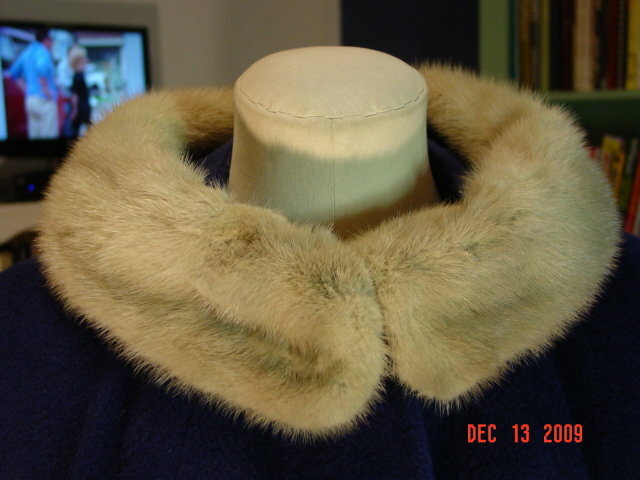 Lined with purple satin. Two hidden side pockets and two fake pockets. 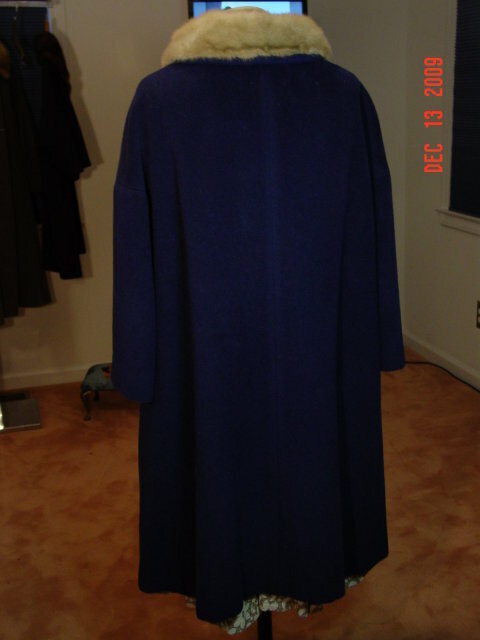 Measurements: length 40", bust 48", sleeve 21". Excellent condition. 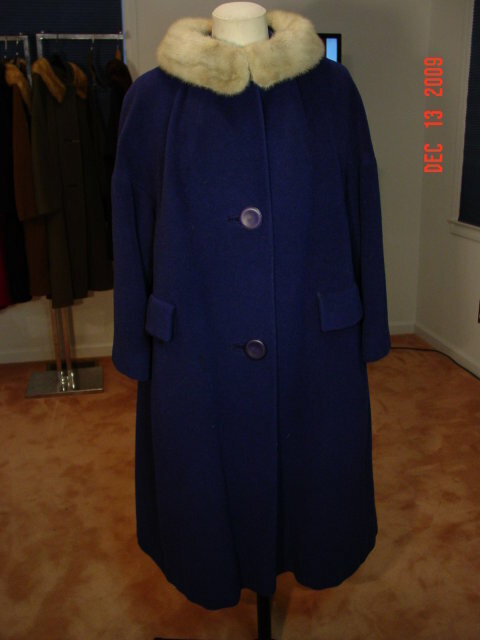 Items Similar To "Vintage Navy Blue Wool Swing Coat with Silver Mink Fur Collar"